Over the last few years, we&apos;ve witnessed Toronto being fiercely represented by The Weeknd and Drake in the pop and hip-hop spheres. And while they&apos;ve been making noise worldwide—thanks to the wires of the internet—a local talent has been using the very same devices to create independent waves far from his own shores. Tre Mission may hail from Toronto, but his heartbeat jumps to the speed of 140 beats per minute. Discovering grime through forums, YouTube, and blogs, he tapped into a community and emerging scene that inspired a new direction in his musical style. His city was reluctant to embrace his organic whirlwind of storytelling, however the British grime scene was open to an outsider taking on a new challenge. On his first visit to London in Feb. 2011, Tre Mission was taken under the wings of grime&apos;s head honcho, Wiley, going on to tour with him as well as sharing the stage with scene veterans such as Jme and Skepta. Fast forward three years, and the groundwork of freestyles, radio sets, mixtapes and clashes on the legendary Lord Of The Mics has allowed his weight of talent to float to the top of the ranks. Tre Mission recently landed himself a deal with Big Dada and a newly-released album, Stigmata. Pretty impressive for a 23-year-old who still sees himself as a newcomer in the music game. 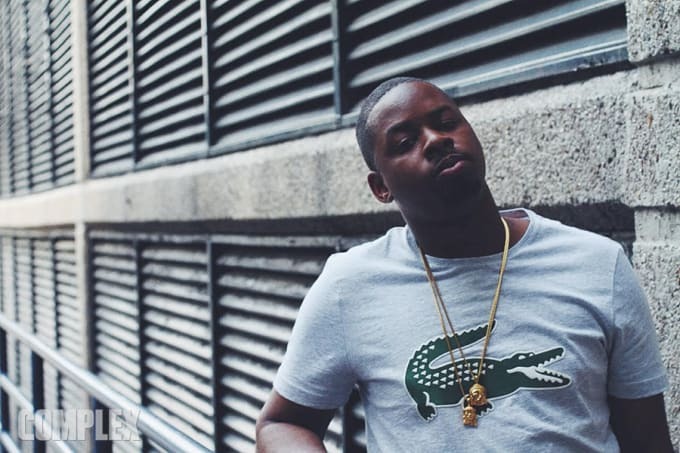 We caught up with the emcee/producer during his recent trip to London. 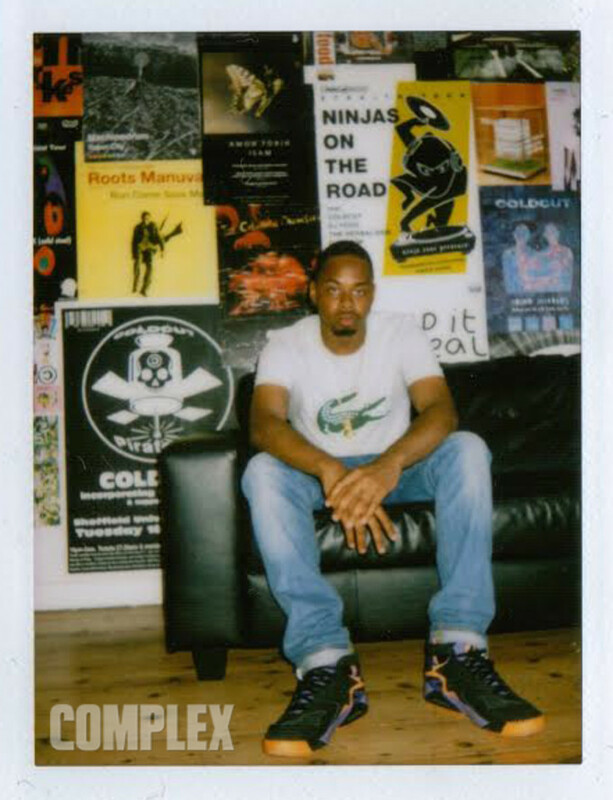 Over a couple of Savana beers (it was more than that), Tre Mission opened up about his penchant for British music, being an underground star in the UK who lives in Canada, and how Drizzy changed the landscape of hip-hop in their hometown. You grew up in Canada, so tell us about your first experience of hearing grime? I was probably like 14 years old, and I was watching this show called The Wedge—the wedge of music that doesn’t get played during the day time. I remember seeing Dizzee Rascal’s "Fix Up Look Sharp" and, to this day, I don’t really like that song but, obviously, the album is like top three for me. At the time, I remember sitting there thinking, "What is happening on my TV?" His accent was so thick, a real east London accent, so at the time I didn’t understand one word. In my head, I wasn’t stupid, so I knew there must be a reason that this is even on The Wedge. It had to be making noise somewhere. Three years later, I started discovering Wiley and Boy Better Know. Did you actively seek out grime, or was it more organic? One of my friends went to Jamaica and some of his cousins were visiting from London. I was shown a few songs, and one song led me to another song, and another song. As I kept on finding new music, I realised that I could relate a lot to what they were saying. Firstly, I could relate to the West Indian influence and culture that we also have in Toronto and what we’ve always felt separated us from Americans. What was sick was that I wasn’t just relating to something that was up the road on Edmonton Avenue, it was far away. To know that there was another place out there that I’d never been to that I could relate to, was a great thing. What were you listening to as you started to really submerge yourself in the UK sound? Them times there, I really liked Frisco. He reminded me of one of my uncles and he was just moving greezy [laughs]. I rated that, still. From then, I just discovered everything and started moving backwards in time to garage and jungle. How would you compare it to what all your friends were listening to at the time? We were all chilling in the hood listening to Gucci Mane, mostly. Most guys in the hood thought I was weird for listening to what I was listening to. The guy that actually showed me grime, we were getting into the scene together and we also made music together. One day, I said to him, when I had this bright idea that I was going to actually do this grime thing: "Come do it with me!" He looked at me and goes, "Nah, that’s stupid. There’s more money in America." My reply was literally, "Cool. Say no more." I went and did my thing, and, a year later after I’d gone to England and come back, the whole hood was saying, "Tre went to England and did his thing!" Everyone thought I was weird, and they were sitting down in the hood saying, "Where does he think this will take him?" I don't talk to most of those man anymore. What was it like making music around the time that Drake blew in Toronto? Because Drake’s Canadian, most American people don’t really understand us. Before Drake got to do his thing, it was a race to see who would be the first to cross over to the US. Everyone wanted to be that guy. There is pre-Drake Toronto and post-Drake Toronto. Pre-Drake Toronto, there were so many bars about how he was going to be the first to blow and put Toronto on the map. Post-Drake Toronto, everyone was going crazy because, now that’s gone, the golden objective is gone. We needed to find a new goal. Was that your goal, too? For me, it was never that. I never wanted to be the first. My goal, if anything, was the same that it is now; to be able to do music and think about nothing else. That’s it. Everything comes with that: money, girls—everything. What websites would you check out regularly to stay clued-up and hear the newest grime music? Everyone who knows me, knows that I’m a Grime Forum head to the last day. Those are my guys! If it wasn’t for Grimeforum.com, I wouldn’t be sitting here right now. Hold tight Hij! Before I started making grime, I used to make hip-hop and it was already mad different. To be honest, I couldn’t even get 100 YouTube views on a song. When I started making grime, I’d post it on Grimeforum.com and the next thing I knew, I had like 1000 views in one night! At the time, in my circle anyway, that was unheard of. Clearly, coming from somewhere else has allowed you to stand out. But you’ve definitely had to put in the work and prove yourself over the years. First, I had to prove myself as a spitter, as an MC, and that’s where Lord Of The Mics came in. I’ve been a producer since I was 11 years old. I’ve been making beats since the 5th grade, so I needed to prove how musical I actually am. Spraying bars can only get you so far, which is why I produce a majority of the tracks I vocal, myself. I want to show people what I have in me, and what I feel could be done with the genre. How did your relationship with Big Dada come about? The funny thing is when Wiley was doing his 100% Publishing album in 2010/2011, I was with him at one of his mastering sessions and Jamie from Big Dada was there. He kept on telling Wiley to sign me. It took a couple of years for them to see what I could really do, but here we are today. I was happy when the label reached out, because Big Dada is perfect for me. I get to do what I want, so it’s a great connection. For those yet to grab a copy of Stigmata, what journey can they expect to be taken on? Well, I worked with Wiley, Merky Ace, Skepta, JME, Kaos, and quite a few others, so I’m definitely representing the UK. Canada, too. I feel like my head’s a bit crazy, and this is the closest you’ll get to understanding me. Like, at the moment, this is what I want to hear. If I could just snap my fingers and—boom!—an album would appear, it would definitely be Stigmata. Tre Mission&apos;s debut album, Stigmata, is out now on Big Dada.